“Firefly was so common and abundant during my childhood,” my mom said, “I even collected them into a glass jar and made a ‘firefly lamp’.” Unfortunately, I don’t grow up with firefly. Most city people nowadays only have imagination, rather than vivid memory, of a flickering firefly. So where are our fireflies?! Well, they still exist today, but you have to travel far and pay to see them (in most case). 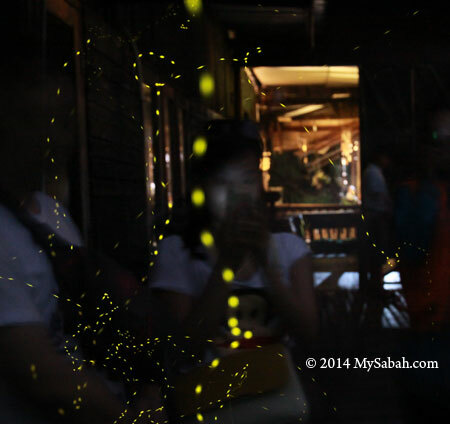 Firefly watching has become a big business in Malaysia as well as Sabah. For example, firefly generated a total of RM7.3 million (USD2.4 million) income for Kuala Selangor in year 2000, from the tour, employment, F&B, transportation, etc. In average, each firefly there carries a RM2,000 price tag. 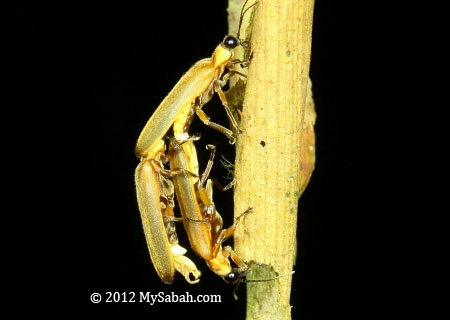 In Sabah, Klias wetland is the hot spot for firefly watching. Just do a simple math, 100 tourist/day x RM180/tour x 365 days, and you will get the figure RM6.57 million/year! Pic: tourists looking at the fireflies. 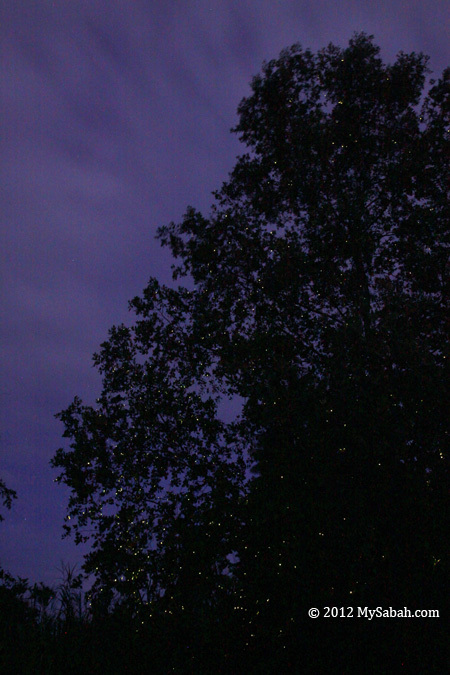 Note the dotted firefly trails. There are over 2,000 firefly species in the world. But what impresses tourists the most is Congregating Firefly, which is mainly Pteroptyx genus (Family: Lampyridae). 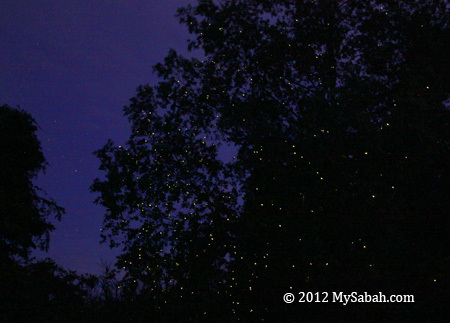 Fireflies gather and flash on a display tree in mangrove forest, by a number of hundreds, even thousands, to create a phenomena like Summer Christmas Tree, one of the most beautiful natural wonders of Sabah. 8 species of Pteroptyx are recorded in Malaysia, and 5 of them are found in Sabah, namely, P. tener, P. gelasina, P. similis, P. malaccae and P. valida. I won’t talk much about the Roving Firefly, which is solitary. Actually firefly flashes (not glow). Flashing, in different pulse and pattern, allows fireflies to communicate and attract the right species to mate. The presence of artificial light such as street light will disturb their communication. That’s why firefly lives far away from city, to avoid the light pollution. Some tour guides know such behaviour and flash their torchlight purposely to attract fireflies coming to their boats (to impress their customers!). Such practice is wrong and shall not be encouraged. You can find Congregating Firefly Zones (CFZ) in the following locations of Sabah. 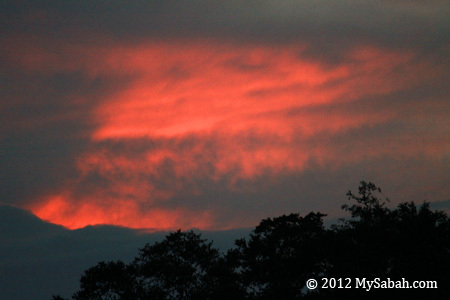 The best time to see firefly tree is between 7pm and 10pm in moonless night. The number and view during rainy or full moon night are not so fascinating. 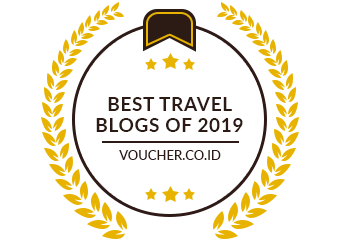 Others: Garama River, Binsuluk River, Weston. 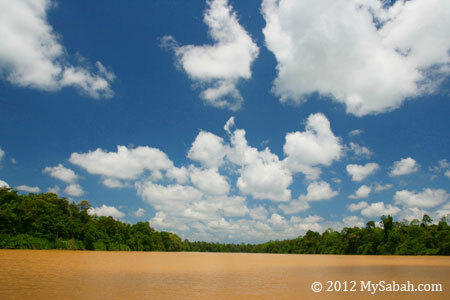 Source: Mahadimenakbar bin Mohamed Dawood, Fiffy Hanisdah binti Saikim and Elia Godoong from Institute for Tropical Biology and Conservation, Universiti Malaysia Sabah. 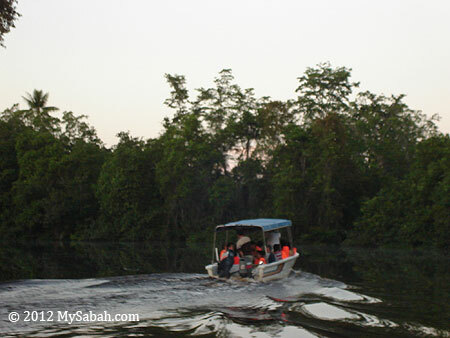 The firefly trees are usually located at both side of the river in mangrove. Fireflies seem to prefer to congregate on Sonneratia caseolaris (Berembang tree). 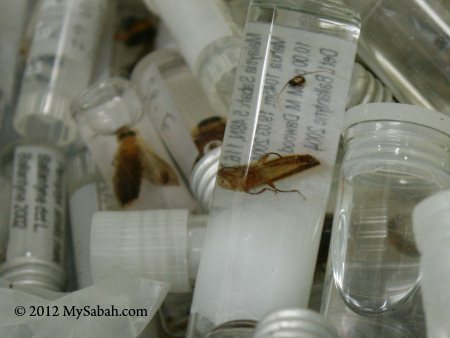 You can read my other articles about fireflies in Sabah. Firefly is not a fly, it’s a beetle (group: Coleoptera). The light of firefly is “Cold” light (2% heat and 98% light). Adult firefly lives less than 1 month. The declining of firefly population is primarily caused by the clearing of their wetland habitat for various development purposes such as housing, agriculture and aquaculture. According to the laws, the riparian must not be clear, and river bank is where firefly larva lives. Sadly, most orchard and oil palm plantation are oblivious about it, and their pesticides kill the babies of firefly. Furthermore, the increasing stray light from human settlement leaves firefly little space for survival. 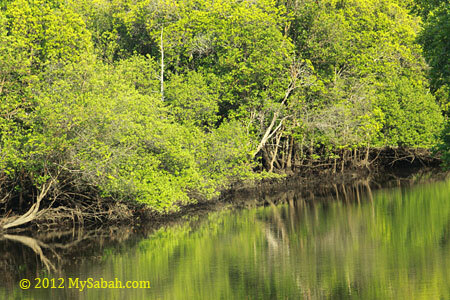 For example, the mangrove of Likas was used to have a lot of fireflies. After decades of forest clearing and encroachment, only a small colony of fireflies are left inside Kota Kinabalu Wetlands. Well, firefly watching was used to be FREE. After people destroy their habitat, firefly becomes rare and now we have to pay to see them. You see, eventually people will have to pay for their wrongdoing to the environment. Due to the destruction we did in the past, our children are no longer seeing this little elf everywhere. Instead of feeling sorry about no firefly to light up the childhood of our future generation, let’s start to protect what we have now. Be nice to nature and it’ll repay you.